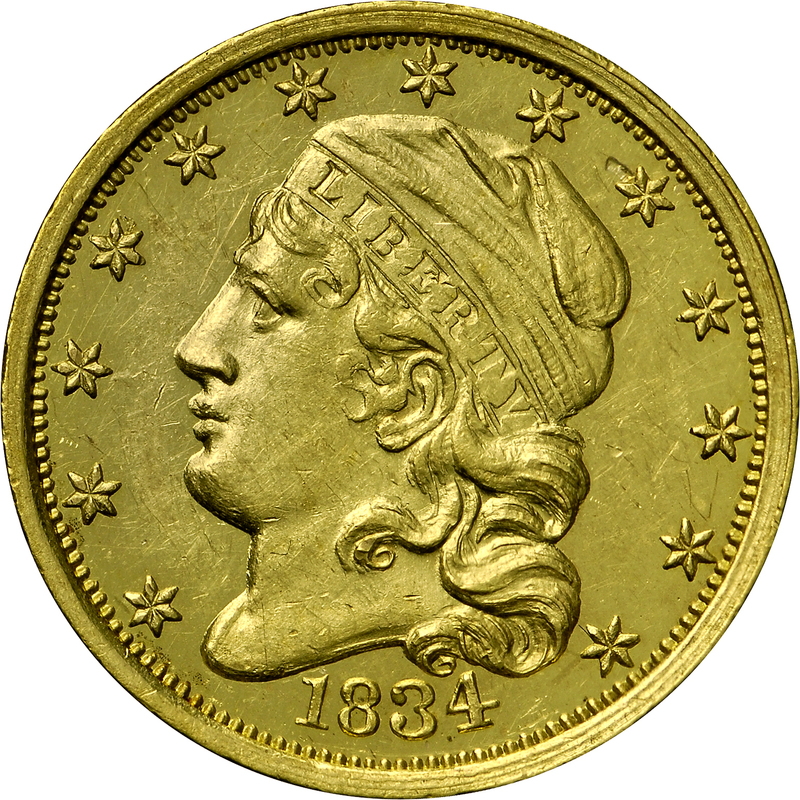 The Act of June 28, 1834 specified a reduction of weight for gold coins to be effective August 1, 1834. 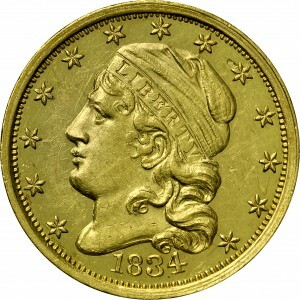 Just 4,000 circulation strikes had previously been minted with the 1834 coinage date, along with a small number of Proofs. 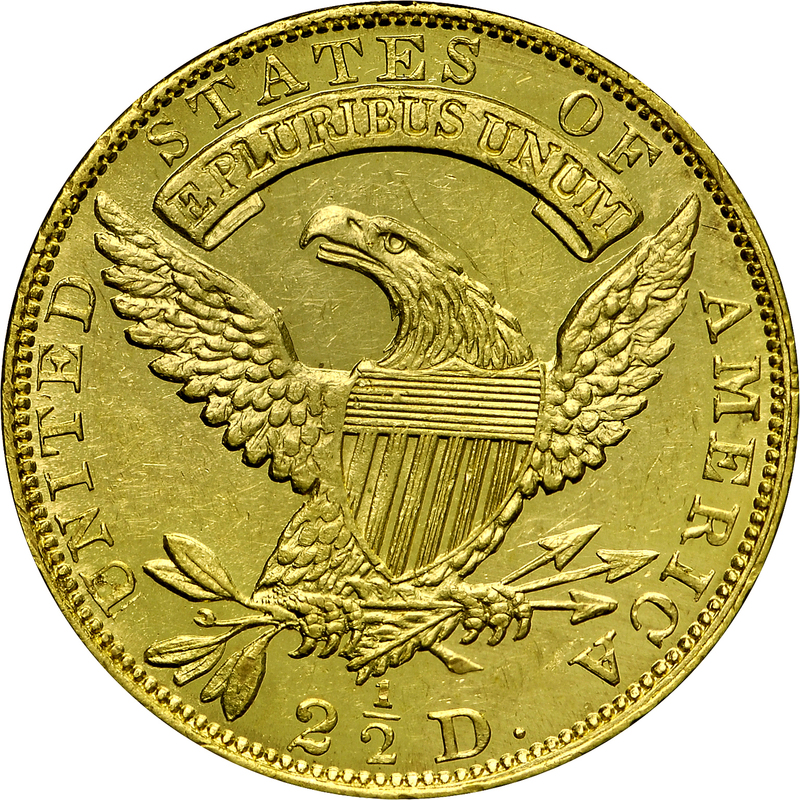 With the new, reduced standard weight, each old style quarter eagle was revalued at $2.665. In his 1988 Complete Encyclopedia of U.S. and Colonial Coins , Walter Breen published a roster of 15 examples, all described as Proof. Among those will be found this example, pedigreed to the 1920s. Among other collectors, this coin once resided with Louis Eliasberg, Sr.
From Stack's sale of the Shapero Collection, October 1971, Lot 750. Earlier from James Ten Eyck, Belden Roach, Louis E. Eliasberg, Sr., New Netherlands 49: 575, Grant Pierce, and R. L. Miles.